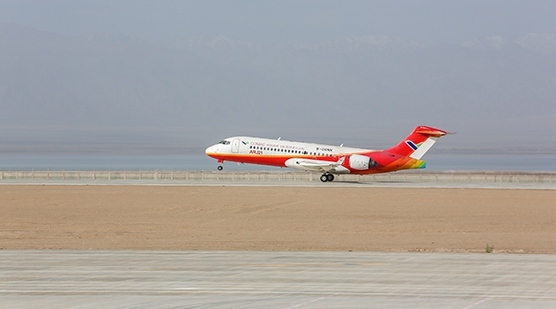 ARJ21-700 completes plateau flight test at Qinghai__Commercial Aircraft Corporation of China, Ltd.
ARJ21 AC104 carried out flight test at Huatugou Airport. 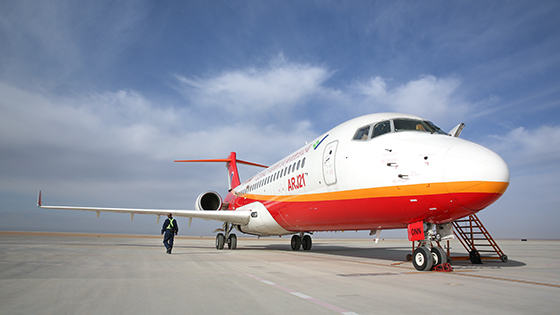 ARJ21-700 AC104 completed plateau flight test at Qinghai from September 22nd to October 13th, 2017. 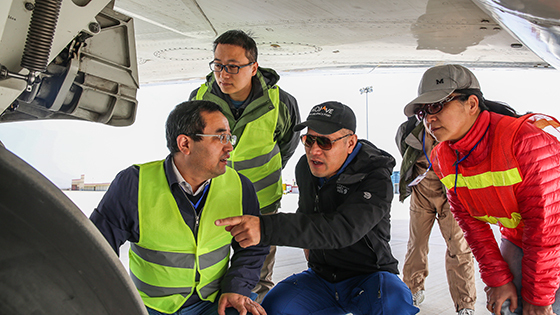 This plateau flight test fully demonstrates that ARJ21 has the ability of operating at a high-altitude airport in western China. Maintenance personnel conducted pre-flight inspections. 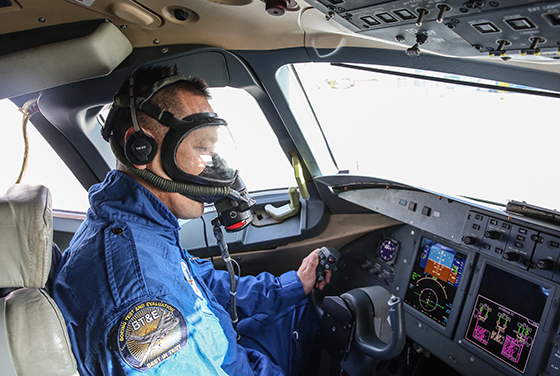 The pilot wore an oxygen mask during flight at the plateau where there is less oxygen. CAAC representatives performed on-site review. 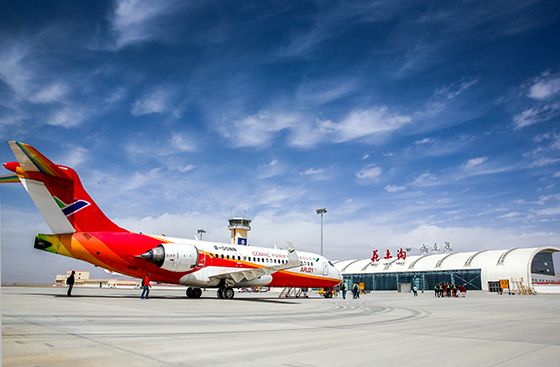 A photo taken at Huatugou Airport.